I thought I would go for something a little different this week. I tried to get a decent shot of a spiderweb so I could use that. I wanted a perfect circle one, but after a lot of searching, realised that those perfect ones are rare, and this one looked quite cool. 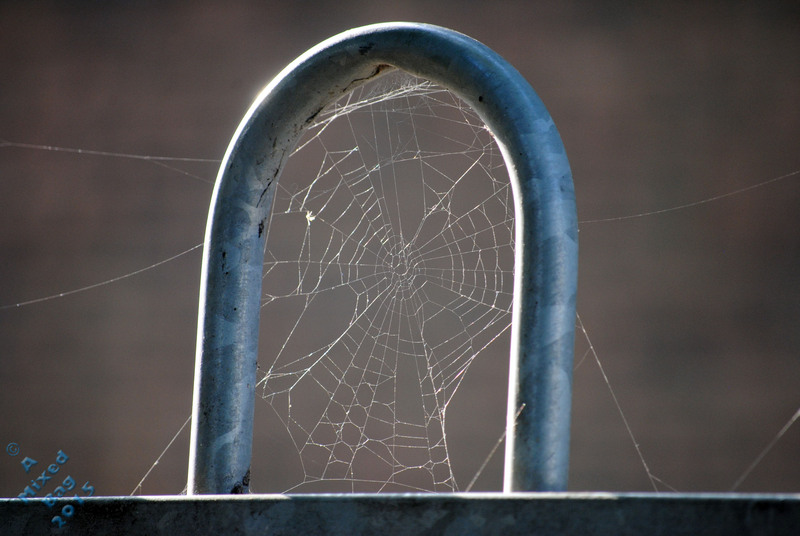 This entry was posted in Photography and tagged Creatures, Life, Nature, Nikon, Nikon D3000, October, Photo of the Week, Photos, Spiderweb. Bookmark the permalink. Spiderwebs can be tricky. I like how you captured this one! [ Smiles ] Now, that is a great photo, Al! That might be one of my favorite pictures of all times!! !